As a family-owned business, we understand how important it is to take care of our community. That’s why we are dedicated to supporting the neighborhoods where our stores are located and the individuals who make a difference every day in our lives. And every year, we bring our communities together to help make a difference in the lives of others. It’s all part of being a good neighbor. Our annual Flair Cares Prom Dress Collection benefits Becca’s Closet, a nonprofit organization providing formal attire for local high school youth who cannot afford new dresses to attend prom. 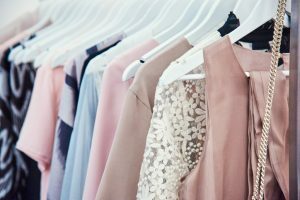 Customers and community members are encouraged to donate gently worn long and short formal dresses and accessories at all Flair Cleaners locations. Flair Cleaners dry cleans each item before giving it to Becca’s Closet. According to the Los Angeles Regional Food Bank an estimated 1.4 million people in Los Angeles or about 16% of our neighbors do not know where their next meal is coming from. That’s why we host the Annual Hang Up Hunger Flair Cares Food Drive at each of our locations. 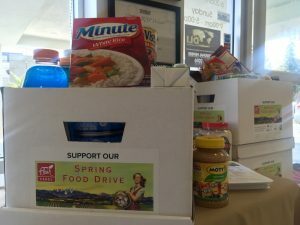 With our customers, and with matching contributions from Flair, we donate thousands of pounds of non-perishable items to food banks supporting residents in Burbank, Redondo Beach, Santa Monica, Studio City, and Valencia. Our teams personally deliver food to the Westside Food Bank, the Santa Clarita Valley Food Pantry, the North Hollywood Interfaith Food Pantry, and the Burbank Temporary Aid Center. In November and December our Annual Flair Cares Holiday Clothing and Shoe Drive supports the efforts of local nonprofits like MEND, Helping Hands for the Blind, and St. Vincent de Paul’s Thrift Store, that serve those in our communities who are in need. To support our military, we provide year-round military discounts and complimentary flag cleaning. To learn more about this program please contact your local Flair Cleaners or watch for information on our Facebook page. 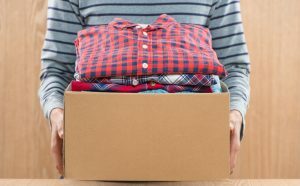 For years, Flair Cleaners has provided free dry cleaning services to the Delancey Street Foundation and Valley Employment Services, important organizations serving our community. Delancey Street helps change the lives of people in poverty and others who have hit bottom through empowerment. Valley Employment Services helps improve the mental health of individuals and families within the Greater San Fernando Valley community. Additionally, Flair Cleaners donates thousands of dollars in gift certificates to local schools, charities, religious organizations, civic groups, veterans associations, and other worthwhile causes every year.